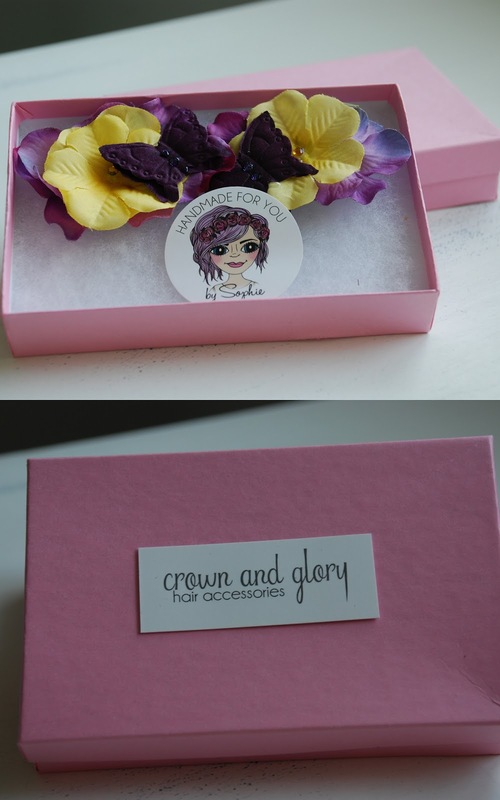 I knew exactly who to go to for some beautiful hair accessories for my bridesmaids. Sophie at Crown and Glory offers a custom service and kindly created these lovely clips for me. We discussed colours and the look I was after, and then I left the rest up to Sophie. I wanted something quite natural and 'young' incorporating the colours we are using for the wedding. They arrived super quick, and in lovely packaging. I've put them away until the big day (or until we play dress up with the bridesmaid for a trial run!) but can't stop sneaking a peek at them. 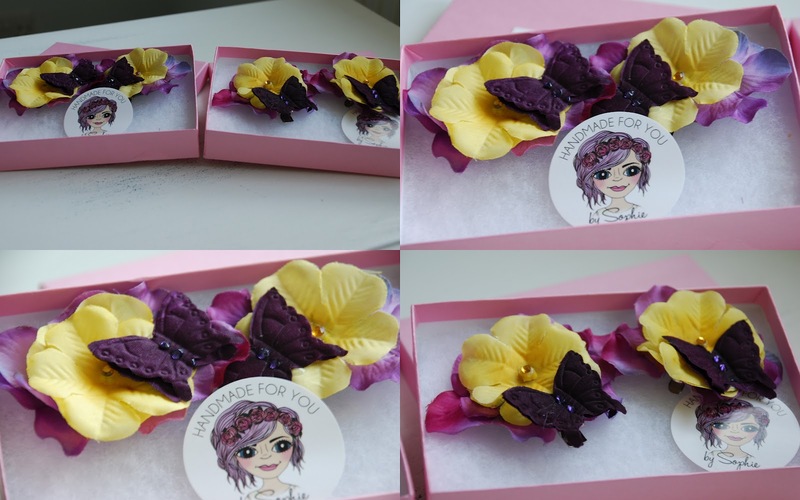 The younger bridesmaids, Amy and Zoe will be wearing these, whereas Crystal (chief bridesmaid and altogether supremo) will be wearing something slightly different in her hair. To say I'm pleased would be an understatement, I can't wait to see my bridesmaids wearing these. I think they'll look great against their naturally curly hair. I also love the fact they can keep the clips and wear them again to parties or just whenever they feel the need for some pretty flowers and butterflies. Another wedding to do ticked off the list. What do you think of Sophie's creation? What do like to wear in your hair? So pretty, looking forward to hopefully seeing a few more bits and pieces for your wedding!